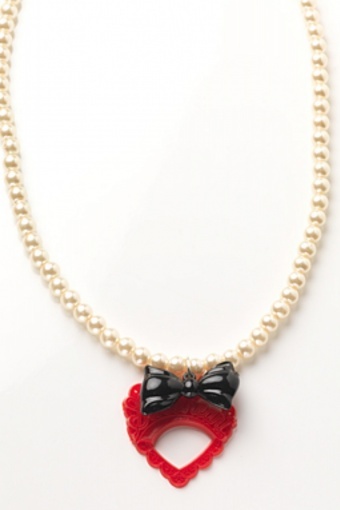 Kitschy but classy necklace Sweetheart Pearls by Bubblegum Vegas. Medium faux pearl necklace with double acrylic pendant. 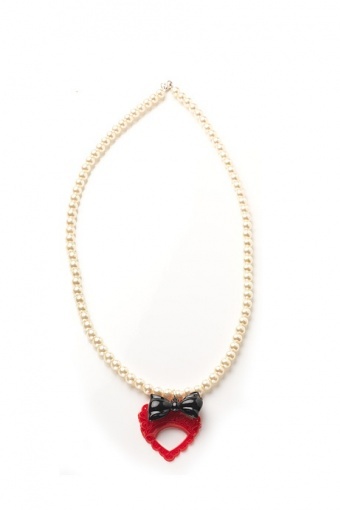 One lipstick red sweetheart and a shiny raven "bubblegum"-bow. You can't get more kitsch than this! More Bubblegum Vegas.